"I wanted to do this project here, because Minnesota is the choral capital of America," Ryland Angel says. 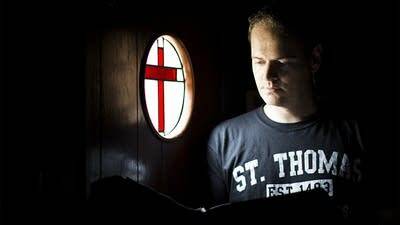 The English countertenor is talking about The Call, a new work he is developing as part of a collaboration with the choral studies program at the University of Minnesota. Angel is an artist of international standing, whose resume includes appearances at New York City Opera, Boston Early Music Festival and the Opera Garnier in Paris. His connection with the University of Minnesota dates to 2015, when he sang at a concert sponsored by the Institute for Advanced Study, a program promoting interdisciplinary collaboration at the school. "Over the postconcert festivities, we discussed the possibility of me becoming a fellow of the institute," Angel recalls. "I had to come up with an idea involving the cross-pollination of different disciplines, so I turned to my friend Nels Cline, the composer and guitarist of the band Wilco." Together with Cline, Angel developed the notion of The Call, a body of work exploring "the roots of community and human cooperation historically and within contemporary society." The first step was reaching out to creative artists in the Minnesota community. What did the idea of a "call" mean to them? A call to service, work, prayer, action or contemplation? "I asked a whole bunch of composers that question," Angel says. "Gregory W. Brown, Ben Rosenblum and Gary Ruschman were among those who responded, and they contributed to the project. "Also David Cherwien, director of the National Lutheran Choir, wrote a beautiful psalm setting called Out of the Depths. We did that in concert, and it's been recorded." Angel and Cline wrote music for The Call themselves, and it is mainly their work that is featured in an end-of-project concert at the Ted Mann Concert Hall on Oct. 28, with the University Singers. "At the heart of the whole thing is the embracing of the concept of '3 Cs,'" Cline says. "Community, communication and cooperation." The concept is not a new one, Cline explains. "In Scandinavian village life way back when, it was accomplished in song from one village to another as any news was transmitted," he says. "By drawing general inspiration from this, the songs of The Call are either positive expressions of events and feelings which we all share and experience as human beings, or pleas for understanding, tolerance and cooperation." Kathy Saltzman Romey, director of choral activities at the U, has played a leading role in pulling the various collaborative strands of The Call together, and will conduct the Oct. 28 performance. "In essence, The Call is almost like a cantata, a kind of a journey of humanity," Romey says. 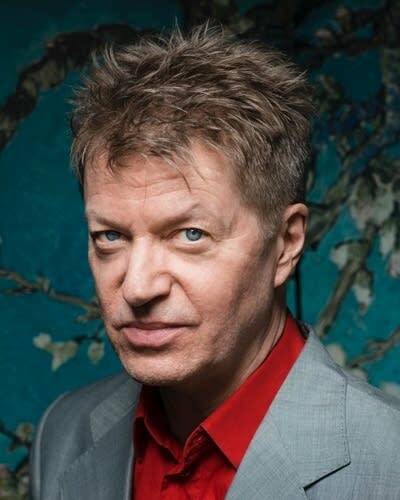 "It has nine movements lasting about 50 minutes, with soloists, chorus and instrumentalists  including strings, accordion, Nels Cline on guitar and his brother on percussion." The week leading up to the concert will be filled with workshops, masterclasses and rehearsals involving Angel, Cline and more than 40 student performers and composers. Romey views this period of interaction as crucial to putting The Call together and to finalizing what will actually be heard at the public concert. "We're delving into a kind of crossover program here, where there are many things on the printed page which indicate improvisation," she says. Improvisation brings with it the undeniable excitement of inventing new music on the spur of the moment. But for classically trained musicians, Romey adds, the skill of improvising is not an easy one to master. "So when Ryland approached me about The Call, I was very excited about the possibility of allowing my students to get involved in what will really be a creative process in mounting a new work," she says. "Ryland and Nels will be coming in and saying, 'We want to hear what the students think of this music, their insights and their feelings.' There will undoubtedly be changes to the music during the week of the residency." For Romey, Angel's versatility as a singer and composer was a key factor in attracting her to the collaboration. "Ryland does all genres of music," she comments. "He records classically, he does opera, but he also does a lot of improvisation. Students need to see how classically trained artists like Ryland have used their training to explore many different types of music." Cline feels that his own contributions to The Call are stylistically quite varied and mine different veins of expression. "With the 'Dawn' movement, I endeavored to create sonic mysteries and ethereal atmosphere," he explains. "In 'Suspicion,' it is ritual darkness with a bit of theatricality. "But 'Dreams' and 'Together' are by contrast extremely direct and are essentially 'songs,' with subtle grooves and actual choruses, as well as encouraging, uplifting lyric content. I guess that overall I tried to express a fairly well-rounded look into the light and dark hearts of community, as well as a bit of nature-inspired wonder and mystery." And even for Cline, a vastly experienced cross-genre collaborator with more than 200 recordings behind him, The Call has enough innovation in it to make him slightly nervous on the evening. "I hope it sounds okay!" he says. "This is my first encounter with choir composing, and I am so grateful to everyone involved for making sure my submissions got fleshed out into choral form, and properly edited and rehearsed." As part of the performance of The Call, Ryland Angel is asking the audience to join with the choir in an encore of "North Star Song," which was written as a new hymn for Minnesota, with words by Michael Dennis Browne. Listen to this rehearsal performance before the concert, and then download the sheet music.